The Life Application Bible Commentary: Revelation provides personal help, teaching notes, and sermon ideas that will address needs, answer questions, and provide help for daily living. This Bible commentary provides explanation, background, and application for every verse in the book of Revelation. 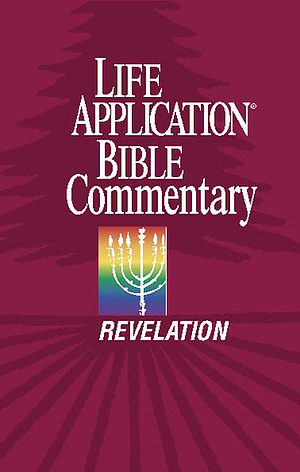 Revelation : Life Application Bible Commentary by Bruce B. Barton;Linda Taylor;Neil Wilson;Dave Veerman was published by Tyndale House Publishers in March 2000 and is our 22153rd best seller. The ISBN for Revelation : Life Application Bible Commentary is 9780842328746. Be the first to review Revelation : Life Application Bible Commentary! Got a question? No problem! Just click here to ask us about Revelation : Life Application Bible Commentary.